Spend the 14th (Tue) wandering through the wild on a nature and wildlife tour. On the 16th (Thu), spend a fun day on foot with Walking tours. There's much more to do: kick back and relax at Cable Beach, make a trip to Buddha Sanctuary, admire all the interesting features of Gantheaume Point, and identify plant and animal life at Malcolm Douglas Crocodile Park and Animal Refuge. To see traveler tips, ratings, more things to do, and other tourist information, refer to the Broome trip planner . London, UK to Broome is an approximately 25-hour flight. You'll lose 8 hours traveling from London to Broome due to the time zone difference. Plan for much hotter temperatures traveling from London in December, with highs in Broome at 39°C and lows at 31°C. Finish up your sightseeing early on the 16th (Thu) so you can travel to Exmouth. Exmouth is a town on the tip of the North West Cape in Western Australia. When in Exmouth, make a side trip to see Ningaloo Marine Park in Coral Bay, approximately 52 minutes away. And it doesn't end there: enjoy the sand and surf at Turquoise Bay, explore the gorgeous colors at Ningaloo Reef, tour the pleasant surroundings at Ningaloo Coast World Heritage Area, and explore the wealth of natural beauty at Shothole Canyon. To find traveler tips, reviews, where to stay, and more tourist information, go to the Exmouth trip itinerary site . You can do a combination of flight and car from Broome to Exmouth in 12 hours. Alternatively, you can fly; or drive. When traveling from Broome in December, plan for somewhat warmer days and slightly colder nights in Exmouth: temperatures range from 43°C by day to 24°C at night. Finish your sightseeing early on the 20th (Mon) so you can travel to Esperance. Esperance is a town in the Goldfields-Esperance region of Western Australia, on the Southern Ocean coastline approximately 720km east-southeast of the state capital, Perth. Spend the 21st (Tue) exploring nature at Cape Le Grand National Park. 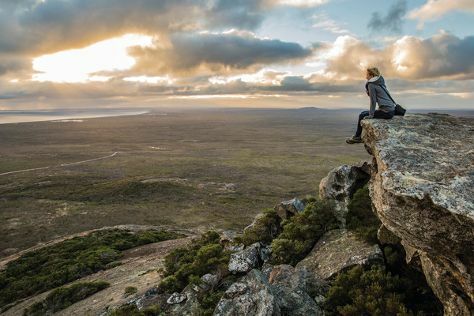 There's still lots to do: kick back and relax at Twilight Bay, tour the pleasant surroundings at Ten Mile Lagoon, contemplate the long history of Esperance Stonehenge, and get great views at Observatory Point and Lookout. Getting from Exmouth to Esperance by flight takes about 6.5 hours. Other options: do a combination of flight and bus; or drive. Traveling from Exmouth in December, expect nights in Esperance to be a bit cooler, around 15°C, while days are much colder, around 30°C. Finish your sightseeing early on the 24th (Fri) so you can drive to Albany. Change things up with these side-trips from Albany: Denmark (Rising Star Winery, Elephant Rocks, & more). Next up on the itinerary: see the interesting displays at National Anzac Centre, take some stellar pictures from Rotary Lookout Albany, explore the striking landscape at The Gap and Natural Bridge, and tour the pleasant surroundings at Little Beach. To see traveler tips, other places to visit, reviews, and other tourist information, refer to the Albany journey planner . You can drive from Esperance to Albany in 5 hours. Other options are to fly; or take a bus. Traveling from Esperance in December, expect nights in Albany to be about the same, around 13°C, while days are a bit cooler, around 26°C. Finish your sightseeing early on the 28th (Tue) so you can drive to Margaret River. 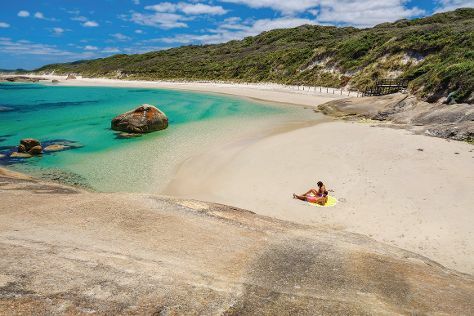 Get out of town with these interesting Margaret River side-trips: Meelup Beach (in Dunsborough), Busselton Jetty (in Busselton) and Bunker Bay (in Cape Naturaliste). Spend the 29th (Wed) on a tasty journey with a beer tour and tasting. There's still lots to do: savor the flavors at Food & Drink, explore the fascinating underground world of Jewel Cave, enjoy the sand and surf at Hamelin Bay, and do a tasting at Pierro. To see other places to visit, photos, maps, and other tourist information, refer to the Margaret River driving holiday planner. Drive from Albany to Margaret River in 4.5 hours. Alternatively, you can take a bus; or do a combination of flight and bus. Cap off your sightseeing on the 1st (Sat) early enough to go by car to Cervantes. Cervantes is a town in Western Australia off Indian Ocean Drive about 198km north-north-west of the state capital, Perth in the Shire of Dandaragan local government area. Start off your visit on the 2nd (Sun): see what you can catch with a fishing tour and then take in the dramatic natural features at The Pinnacles Desert. To find reviews, more things to do, traveler tips, and more tourist information, use the Cervantes tour itinerary site . Traveling by car from Margaret River to Cervantes takes 5.5 hours. Alternatively, you can do a combination of bus and train; or take a bus. Finish your sightseeing early on the 2nd (Sun) so you can drive to Perth. Change things up with these side-trips from Perth: Fremantle (Fremantle Prison, Western Australian Maritime Museum, & more). Dedicate the 6th (Thu) to wine at some of the top wineries in the area. 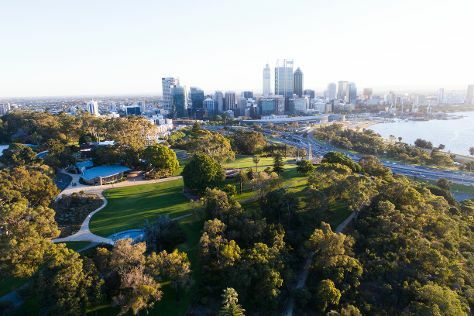 There's still lots to do: admire the natural beauty at Kings Park & Botanic Garden, appreciate the history behind Kings Park War Memorial, indulge in some culinary diversions at a local gastronomic tour, and contemplate the long history of The Perth Mint. To find more things to do, photos, ratings, and more tourist information, you can read our Perth online route planner . You can drive from Cervantes to Perth in 2.5 hours. Another option is to take a bus. In January, daytime highs in Perth are 38°C, while nighttime lows are 20°C. You'll have a few hours on the 8th (Sat) to wrap things up before traveling home.